Change! is what we experience all the time - physically, emotionally, and intellectually. Constant change is also a fact of nature in the outside world. If change is so natural, why do we often ﬁnd it so difficult to accept? The authors in this book provide unique insight into the powerful role of change in our lives. They show how every change, even the painful and difﬁcult ones, can help us grow and develop within ourselves. They also reveal how real growth happens when we practice and live according to spiritual principles. It is those eternal principles that are our rock and compass in times of rapid change. 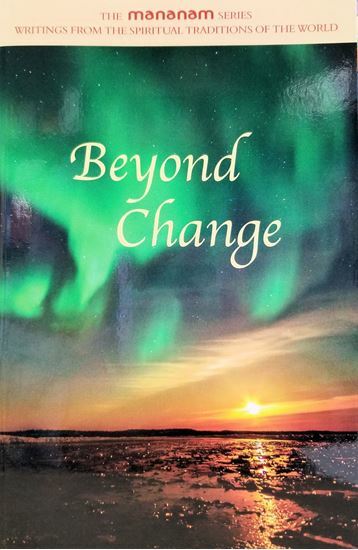 Full of profound wisdom and insight, the authors in this book guide us to live joyfully amidst all changes and to go beyond change to the unchanging Peace within. outside world. If change is so natural, why do we often ﬁnd it so difficult to accept? 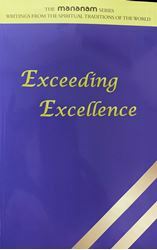 The authors in this book provide unique insight into the powerful role of change in our lives. They show how every change, even the painful and difﬁcult ones, can help us grow and develop within ourselves. They also reveal how real growth happens when we practice and live according to spiritual principles. It is those eternal principles that are our rock and compass in times of rapid change. 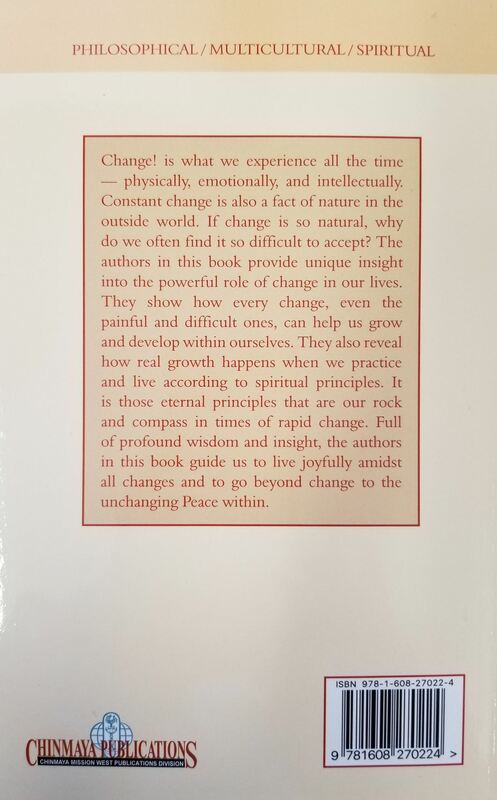 Full of profound wisdom and insight, the authors in this book guide us to live joyfully amidst all changes and to go beyond change to the unchanging Peace within.